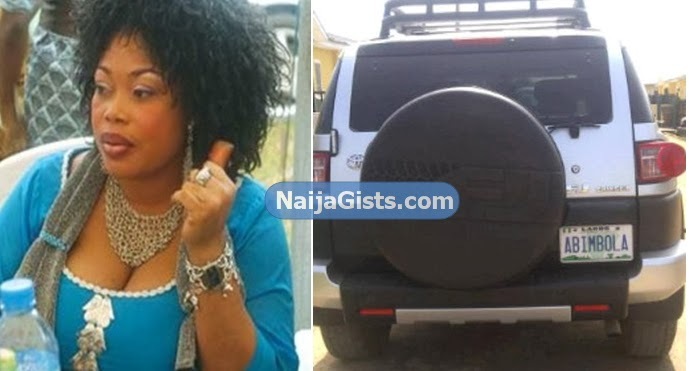 Nigerian actress Bimbo Akinsanya has joined the growing list of celebrities who have acquired their own multi-million naira wonder on wheels this year. The screen-scarce actress who acquired her ride recently has been spotted on several occasions painting the town red in it. 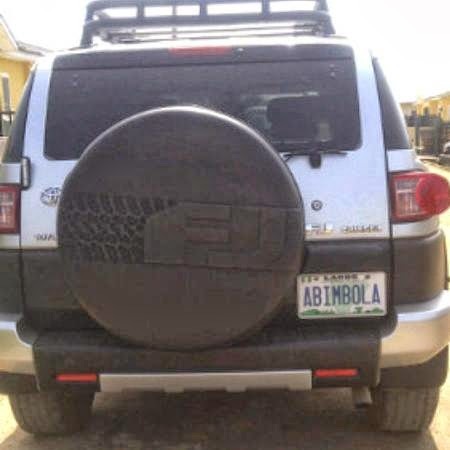 According to Nollywood sources, Bimbo Akinsanya’s Toyota FJ cruiser jeep was acquired in early August with customized plate registration # ABIMBOLA. The Olabisi Onabanjo University Micro Biology graduate is no doubt one of the best actresses in Nollywood. She was born in Abeokuta, Ogun State. She joined Nollywood shortly after her training in Odunfa Caucus about 10 years ago. Bimbo Akinsanya maintained a low to no societal status after she got into legal trouble last year. See how bad temper has messed up your career and reputation. Please Bimbo try as much as possible to be very close to God your creator. He gave you the ability to excel in your chosen carrier. Give Him honor,give him glory and He will direct your steps.